You might be thinking but she already did this and yes I did but it only featured 1/3 of the new Krispy Kreme range due to a little mishap. The delivery man and I had a conversation for nearly 5mins about doughnuts he was giving me recommendations lol. So I will now present all three in there Kreme Glory. 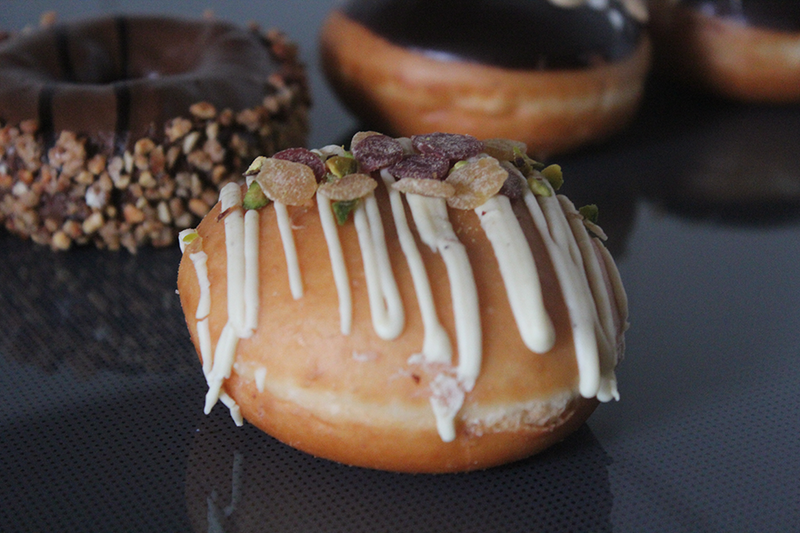 Filled with smooth pistachio praline Kreme, drizzled with pistachio and white chocolate icing and finished with chopped pistachio, honey and raspberry flakes. The toppings look like sweets but as said above they are pistachio honey & raspberry flakes - so what puts me off with this - I don't enjoy honey and ended up taking off the toppings. Takes away some of the appeal of the doughnut. White chocolate, is not my favourite choice for chocolate after awhile it makes me feel ill. Inside it's filled with praline something I can't say I've eaten before and don't think I will again - I'm not sure if the taste of the chocolate and some of the flakes along with it, just didn't mesh with my taste buds. Rich chocolate cake, hand dipped in milk chocolate hazelnut sauce, encrusted in caramelised hazelnuts and finished with a dark chocolate icing drizzle. Biting into this, it's softer than a regular doughnut as it's just like a cake - just like described. Let's just put it like this, I prefer milk chocolate. Rich chocolate is a no go for me but I did try this. 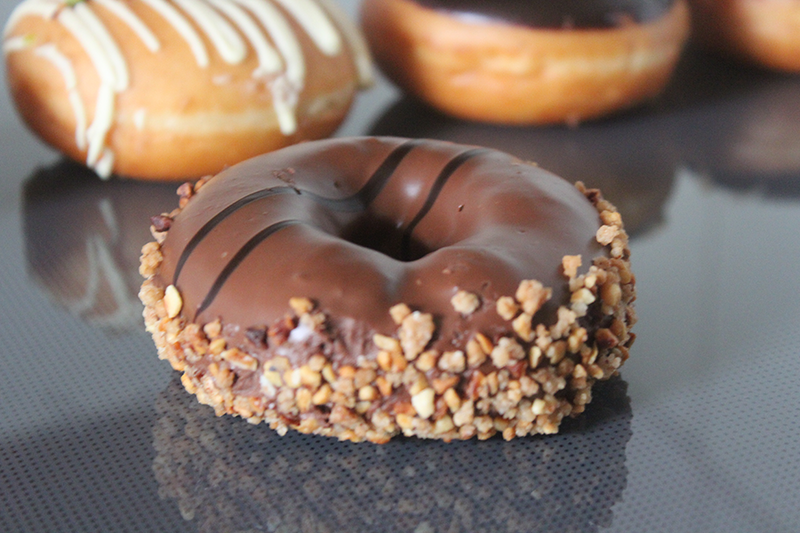 I enjoyed the hazelnuts around because I enjoy hazelnut and it was a nice touch but too much chocolate with not much other taste to break it up isn't a good deal for me. 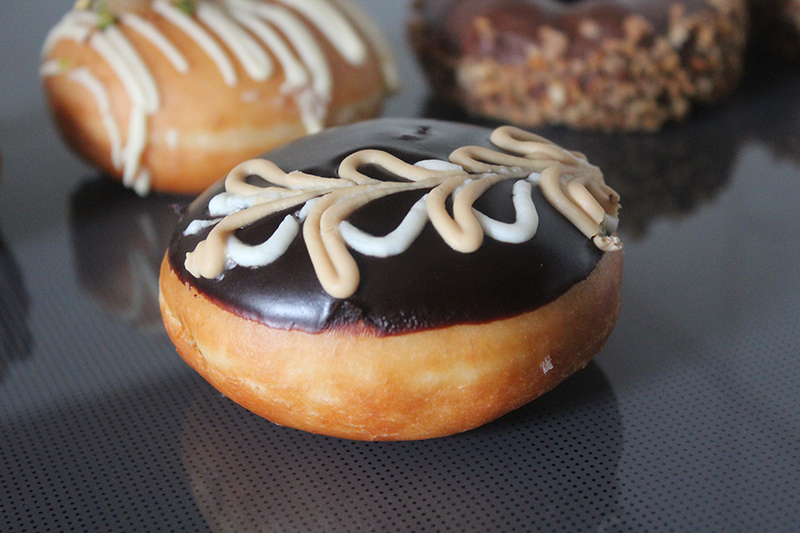 Filled with salted caramel, dipped in Belgian dark chocolate icing and hand finished with a white and caramel iced decoration. I reviewed this one before and it had to be my least favourite out of the three. Just the salted caramel and Belgian dark chocolate was too sickly for my taste buds. Now you know I don't like to put 'negative' reviews out but I'm being honest everyone has different taste buds and mine didn't like the combination or ingredients within this new collection. Unfortunately it's a no go for me. What would you choose from how they are described? *These treats were sent to me for consideration for a review. This does not sway my opinion. This is 100% my view and research is that of my own! Oh wow that looks soooooooooo yummy!!! omg they all look so delicious! Uhmmmmm looks delish I have a sweet tooth! 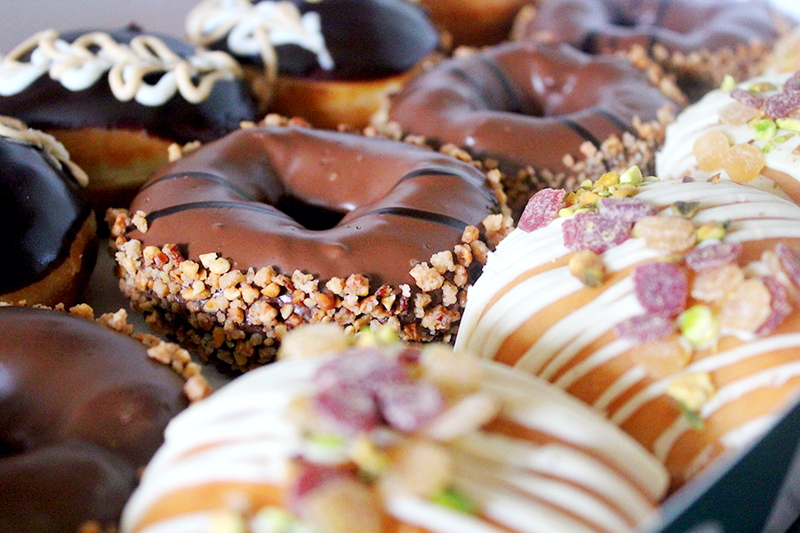 The chocolate donuts look really yummy and delicious to eat. My favorite one is rich chocolate cake it’s always tasty to eat.